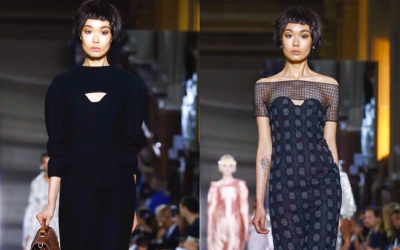 AKIPRESS.COM - Kazakhstan model Bibisara Sharipova opened Ulyana Sergeenko F/W 2016 show in Paris. "Opened beautiful Ulyana Sergeenko Couture Fall Winter 2016 show this evening in Paris! Thank you so much for this honor," Sharipova wrote in the recent Instagram post (@bibisharipova). The model has already worked with big names in the fashion industry, namely Salvatore Ferragamo, House of Holland, Aigner, Christian Siriano, Rachel Comey, Frame Denim and many others. Ulyana Sergeenko is a native of Kazakhstan as well. She was born in Ust Kamenogorsk in East Kazakhstan region. Rihanna, Beyonce, Natalia Vodianova, Lady Gaga, Dita von Teese and many other celebrities wear Ulyana Sergeenko clothing.